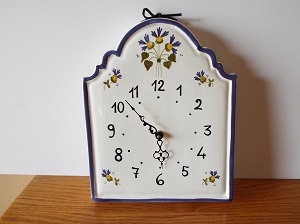 Italian ceramic quartz clock with yellow and blue flowers. Uses "AA" battery. 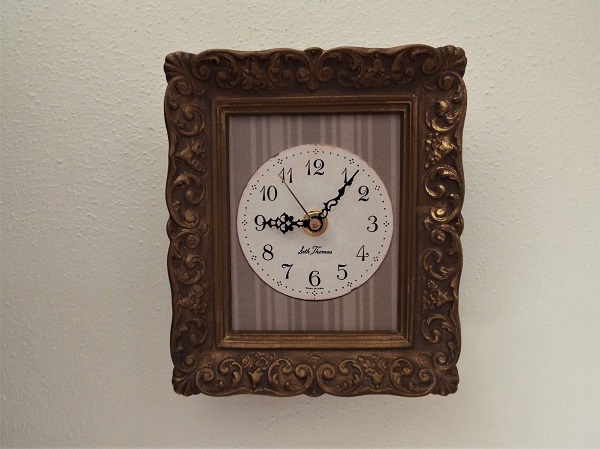 Has a leather string on top for decoration.